Ponder Coffee. Photo by Phil Eich. From her position at the Mt. Pleasant Area Community Foundation, Executive Director Amanda Schafer has a bird’s eye view of the ripples of change emanating from Isabella County. And on more than one occasion, she’s been frustrated with the barriers that prevent her from getting the word out to her neighbors and friends in the region and across the state. “When we talk about community leadership, we talk about making certain folks know about the amazing assets we have here,” she says. Schafer is far from the only local leader who shares this sentiment. There are plenty of great things happening in Mt. Pleasant and its neighboring communities. We think it’s time people heard more about them. That’s where Epicenter Mt. Pleasant comes in. Launching Thursday, August 16, Epicenter is a weekly publication and email newsletter featuring stories about bold startups, emerging places, catalytic talent, transformative projects, and ideas across the region. The publication joins Issue Media Group’s growing network of partner cities in its statewide Second Wave publication, which is focused on growth and innovation across Michigan. At the Central Michigan University Research Center, President and CEO Erin Strang believes so deeply in the potential of the developing Isabella County business scene she can’t and won’t choose a favorite. Ask her what’s the most exciting thing on the horizon and she’ll rattle off a list of businesses ranging from tech disruptors to industrial salvage and remodeling contractors. “Isabella County is a community of entrepreneurs,” says Strang, who oversees the research center’s business incubator, co-working spaces, and idea accelerator. Nestled into a Michigan Economic Development Corporation SmartZone, the research center offers everything a would-be entrepreneur or new startup CEO needs to vet their idea, launch their business, and then take it to the next level. And it’s that next level Strang hopes to fill more than 300 smart acres with over the next few years. SmartZones are MEDC-certified technology parks, dedicated areas where technology-based firms, entrepreneurs, and researchers locate in close proximity to one another, as well as the community assets they need in their day-to-day operations. Husband-wife team Aaron and Christie Cromar are living proof of Strang’s point. Mt. 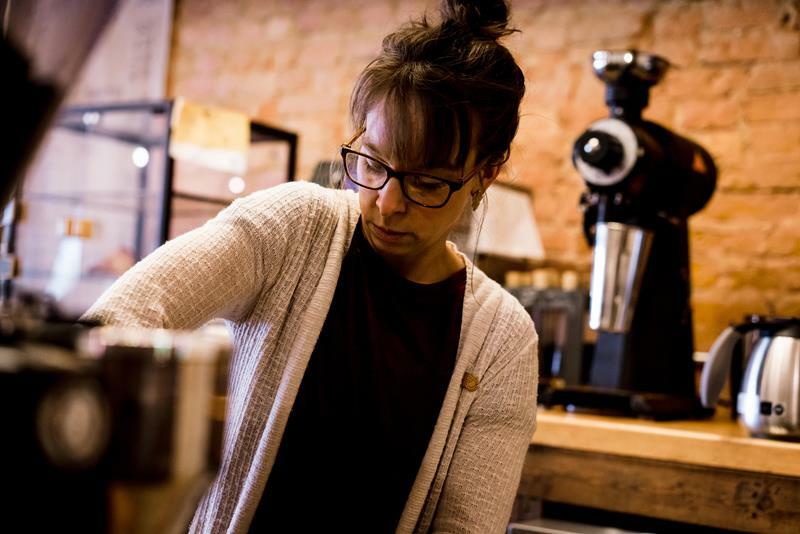 Pleasant’s self-taught coffee gurus spent two or three years roasting beans in popcorn poppers in their home kitchen before striking out into the community's downtown with their idea. “We spent a couple years at the Farmer’s Market first,” says Christie Cromar who seamlessly juggles the demands of a small business owner, serving customers on one side of the bar at the center of the shop while answering questions over a pot of the best Ethiopian coffee I’ve had outside Ethiopia on the other. Today Ponder Coffee, the small, hip coffee joint on the south side of Broadway Street in the heart of Mt. Pleasant’s revitalizing downtown business district, is three years old, and the Cromars already have another shop up their sleeve. That storefront will open up near campus in the next few weeks, but Christie Cromar says a grand opening isn’t their style, “we’re hands-on, we take smart risks, but we don’t get in over our head.” Rather than flashy events, the Cromars try to focus on what matters: the atmosphere, the service, and the coffee. Though Aaron does most of the roasting, Christie Cromar appreciates the finer points of his technique and the innovative ways he comes up with their next best cup. Of course, a business isn’t a business without its community, and the neighbors and friends who call Isabella County home are a consistent highlight in conversation. Hyble thinks part of what makes Isabella County so tight-knit are the incredible recreational opportunities right here in its own backyard. For their part, the parks and recreation department is continually making updates to Mt. Pleasant’s many green spaces, including those with access to cool, clear mid-Michigan waterways. 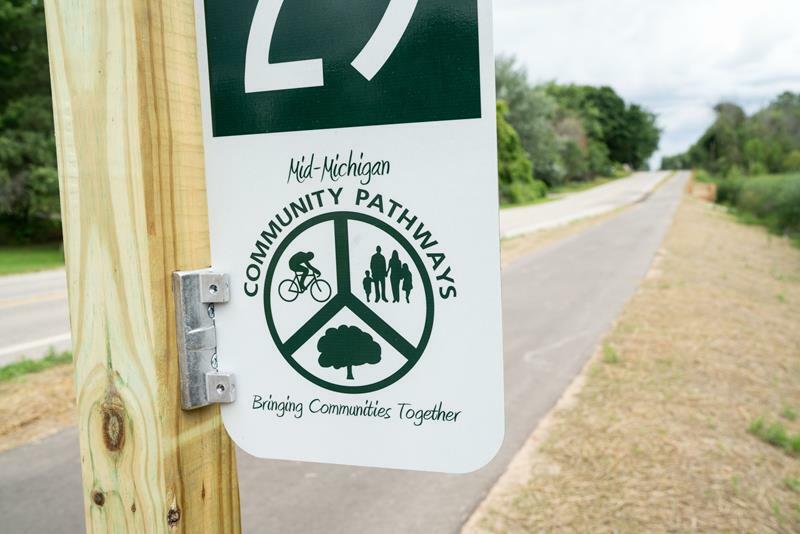 In fact, with the recent completion of the second leg of the Mid-Michigan Trailway, accessibility in Isabella County branches out from Mt. Pleasant to neighboring communities like Shepherd where residents can bike for a scenic detour and then a bite to eat or a cold drink before heading home. Combined with the draw of Soaring Eagle Casino and Resort, Soaring Eagle Waterpark, the cultural and hands-on museums in the area, and the many events hosted at the casino throughout the year, Hyble and his fellow community leaders are convinced Mt. 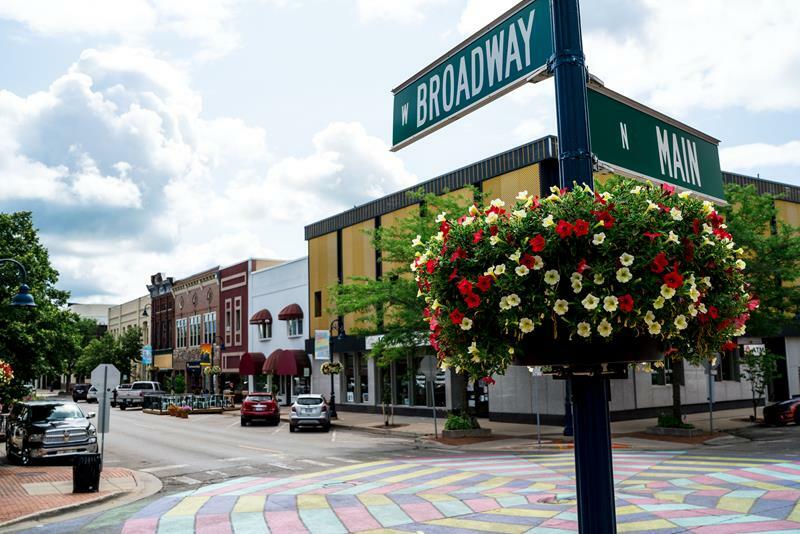 Pleasant is not just a destination for a day or a night on the town in mid-Michigan, but the epicenter of a revival… if only they can get the word out. And Epicenter Mount Pleasant is here to help them do just that.